When selecting wine, whether at restaurants or from wine shops, we try to subscribe to our local cause of “Drink Local Buy Local”. These are our neighbors, farming the land with grapevines and competing with less costly, large production wineries. We run into our winemakers, vineyard owners and vineyard managers at the grocery store, local events and dining out. It’s a tough, publicly perceived romantic means of making a living and we appreciate what they do. Trump National Golf Club Washington D.C.
One of the perks of living in the Virginia wine country is also having the opportunity to try wines outside of our area, smaller wineries in other parts of the country who are getting to appreciate our Virgina wines and we, theirs. On Friday, we were invited to an event by wine distributor Lanterna and Tamara Cavanaugh, formerly of Kluge Estate Winery, in an effort to acquaint us with Fritz Underground Winery from the Dry Creek area of Sonoma, California. We weren’t quite sure what to expect and were so glad we came, the event was held at the Trump National Golf Club in the Great Falls area along the Potomac. Michael MacDonald, General Manager, greeted us and introduced us to the club, the history behind the course, the Tennis “palace” with it’s magnificently lit indoor courts and it’s signature 1st and 18th hole waterfall. Clay Fritz, current owner of Fritz Winery added his own personal story with a humorous slant during the wine sampling, sharing stories of his entrance into the business by way of his father, hence the winery’s name Fritz. Clay extolled on the virtues and talents of his lovely wife, Natalia and her inspiration to use some of the acreage for olive trees. She now has her own business, Natalia’s Kitchen, incorporating their estate grown wines in mouth watering recipes and products. The winery itself is underground in the side of a scenic hillside with a living roof. The wine making process is enhanced by employing natural gravity, an energy saving means to transport the juice from the crush pad down to the tanks and barrels, thus eliminating the need for pumps. This also saves the juice from any adverse effects of excessive pulsation and buffeting. Bacon wrapped scallops, spring rolls, caprese-kabobs, coconut shrimp and paté were paired with the three select wines, a Chardonnay, A Pinot Noir and a Zinfandel. 30% of the wines from Fritz remain for wine club members and sold locally, 70% are distributed nationally and can be purchased at Bill Curtis’s Tastings and are on the menu at The Ivy Inn and The Alley Light in the Charlottesville area. I’ll definitely be making my way to Tastings and The Alley Light, a popular local favorite in Cville. The 2013 Fritz Chardonnay garners 91 points through Wine Enthusiast and isn’t overly oaked or too buttery but a pleasant bright citrusy taste and great for sipping alone. The 2012 Fritz Pinot Noir, achieves 94 points, was a resounding hit, a beautiful garnet color with cherry flavor upfront and midrange spicy notes. I believe a popular choice for the holidays and I hope I can find this wine to add to our Fall menus. The 2013 Fritz Estate Zinfandel followed, more robust in character with currant and dark cherry notes, the time is ripe for this wine! I hope you get the chance to enjoy these wines and a visit to the winery if you’re in the Dry Creek area of northern California. We’ve all heard over and over that red wine is good for your heart. Studies have shown that wine consumption reduces blood platelet aggregation, which ultimately helps prevent many cardiovascular diseases. The polyphenolic compounds in wine are primarily responsible for these benefits (specifically: resveratrol, catechin, and anthocyanins), as they possess high antioxidant activities which contribute greatly to the cardiovascular (and other) benefits of wine. Comparing resveratrol and catechin with anthocyanins, they are more bioavailable and are found in the bloodstream without being degraded after the intake of wine. Many cardiovascular diseases are closely linked to higher levels of low-density lipoprotein (LDL) cholesterol and cholesterol oxidation. Oxidation of cholesterol starts with free radicals or active oxygen and produces a cholesterol oxidation product called 7-ketocholesterol. Higher levels of cholesterol can lead to higher cholesterol oxidation, thereby producing higher levels of 7-ketocholesterol and other cholesterol oxidation by-products, which are toxic to blood vessels and cause damage to macrophages and endothelial cells inside them. This results in abnormal cell metabolism, which ultimately causes cholesterol to gradually deposit on the blood vessel walls, forming a plaque, which in the end gives rise to cardiovascular disease. By reducing the LDL cholesterol oxidation levels in the body, relatively normal cell function could be maintained, thus reducing the chance of plaque build-up in the arteries and cardiovascular disease. Polyphenolic content is extremely variable, and depends upon many factors including grape variety, geographic location, terroir, vineyard and winemaking practices, as well as many other possible sources of variation. 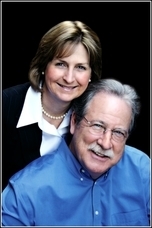 The goal of the study presented today, which was published in 2011, aimed to determine the abilities of both red and white wines in reducing LDL cholesterol oxidation by using an emulsion system that has been shown to accurately replicate cholesterol oxidation levels and behaviors in the human body. Two red wines (Merlot and Cabernet Sauvignon) and two white wines (Chenin Blanc and Sauvignon Blanc) were purchased from a local market. A cholesterol emulsion system was produced to accurately replicate the conditions and levels of cholesterol oxidation in the human body (if you want more details, just ask). Each wine was tested in this system to determine effectiveness against cholesterol oxidation. 7-ketocholesterol was measured using HPLC methods. Catechin and resveratrol levels were also analyzed and measured. The cholesterol level in the emulsion system was 1000mg/L, which is similar to a normal LDL cholesterol level in the human body (100mg/100mL). No 7-ketocholesterolwas found in 48 hours of oxidation for white wines at a 1:10 ratio and for red wines at a 1:500 ratio in the emulsion system. 7-ketocholesterol inhibition rate remained at 100% after 72 hours for Sauvignon Blanc white wine at a ratio of 1:10, and in both reds at a 1:250 ratio. 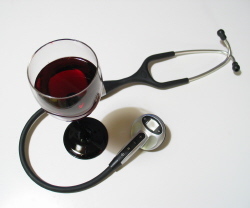 o Results indicate that red wine is much more efficient than white wine in inhibiting cholesterol oxidation. o Red wine has a 50 times higher capability than white wine in inhibiting cholesterol oxidation. o The lower antioxidant activity of white wine compared to red wine could be due to their lower levels of antioxidant-rich polyphenols, due to winemaking practices of no skin contact. The molecular structure of the polyphenol appeared to be more important than the antioxidant activity of the compound. o Antioxidant capacity of red wine may be the result of a synergistic effect among many polyphenols. Compared with anthocyanins, catechin and resveratrol are more bioavailable in the bloodstream and are absorbed without degradation. Catechin levels in Merlot were 140.6mg/L and in Cabernet Sauvignon were 132.5mg/L. Catechin levels in both white wines were between 10.6 and 11.0 mg/L. Resveratrol levels in all wines were less than 0.1mg/L. 7-ketocholesterol was not detected in 24 hours of oxidation when 1mg/L of catechin or resveratrol was mixed into the emulsion system at a ratio of 1:500.
o The inhibition rate of catechin was higher compared to resveratrol after 48 hours of oxidation. Resveratrol decreased to 74% at this time. o The inhibition rate of resveratrol continuously dropped to 68% after 72 hours of oxidation, and catechin was at 88% at this time. The results of this study show that resveratrol may not be the major polyphenol in red wine that is responsible for the protection against cardiovascular disease as studies often claim. Catechin may be a more important contributor to enhancing antioxidant activity in the blood, due to its higher antioxidant activity and bioavailabilty than resveratrol, which is found in levels of 10-20 times less than catechin in wine. The results of this study also showed that the capability of red wine to inhibit cholesterol oxidation was 50 times higher than that of white wine, which makes sense when one considers the differences in winemaking methods of red (skin contact) versus white (no skin contact) wine and the fact that many of the polyphenols of grapes are located in the skins. This higher polyphenolic content of red wine could explain the higher antioxidant levels in the beverage, as well as the increased cardiovascular health benefits. Even though resveratrol is almost always given the most credit for reducing the risk of cardiovascular disease, the results of this study suggest that catechin may be more responsible than resveratrol for the antioxidant levels in red wine, thereby contributing more to the reduction of cholesterol oxidation in the human body. According to the results of this study, the authors suggested that if the catechin level in a wine is 150mg/L, then consuming 60-70mL of a wine with greater than 10mg of catechin present would be very beneficial in inhibiting the oxidation of LDL cholesterol for healthy humans for 24 hours time. In reality, I believe that there is most likely a synergist effect between resveratrol, catechin, and other antioxidant polyphenols, however, this study presents evidence that perhaps we should not be so focused on resveratrol alone, and should consider expanding the focus to other polyphenols that could be playing a more important role, or at least a synergistic role with resveratrol in reducing the risk of cardiovascular disease. I’d love to hear what you all think! Please feel free to leave your comments below (no html tags). Source: Tian, L., Wang, H., Abdallah, A.M., Prinyawiwatkul, W., and Xu, Z. 2011. Red and White Wines Inhibit Cholesterol Oxidation Induced by Free Radicals. Journal of Agricultural and Food Chemistry 59: 6453-6458. I am not a health professional, nor do I pretend to be. Please consult your doctor before altering your alcohol consumption habits. Do not consume alcohol if you are under the age of 21. Do not drink and drive. Enjoy responsibly!